Trying to reach the highest natural point in each U.S. state brings one to mountains big and small, hills big and small and even a mound or two. Maryland’s Backbone Mountain falls into the “small mountain” category, offering up a nice, short hike and rewarding hikers with expansive views of Maryland to the east and West Virginia to the west. I have, without question, been on highpoints far more boring than Maryland’s Backbone Mountain. Backbone Mountain, part of the central Appalachian Mountain Range, is a ridge of the Allegheny Mountains that is approximately 39 miles long. The mountain is right on the border of two states, West Virginia and Maryland, so certain sections reside in each state. Finding the trailhead isn’t terribly difficult. The final leg of the drive heads south on US-219, and the trailhead resides right off of this road (see “Getting to Backbone Mountain” below for more). From the trailhead, the route to the top of Maryland starts by heading up a wide logging road that eventually narrows a bit as it turns east. The trail then gets a little steeper as it ascends to a short series of switchbacks near the top of the ridge. The trail is marked clearly from start to finish with spray-painted red stripes and red “HP” markers dotting trees trunks throughout. Following the spray-painted markers, continue up a series of three of four long switchbacks until some cairns and more red markers point urge a turn to the left. 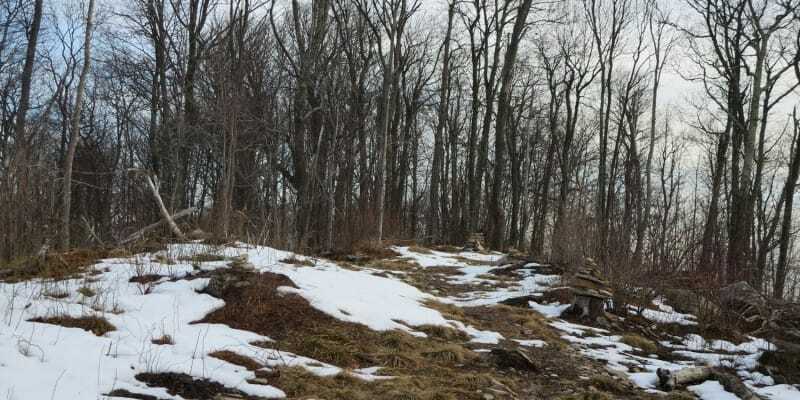 At this point, the terrain opens up a bit, offering up expansive views of Maryland to the east while the views of West Virginia to the west are still obstructed by trees. 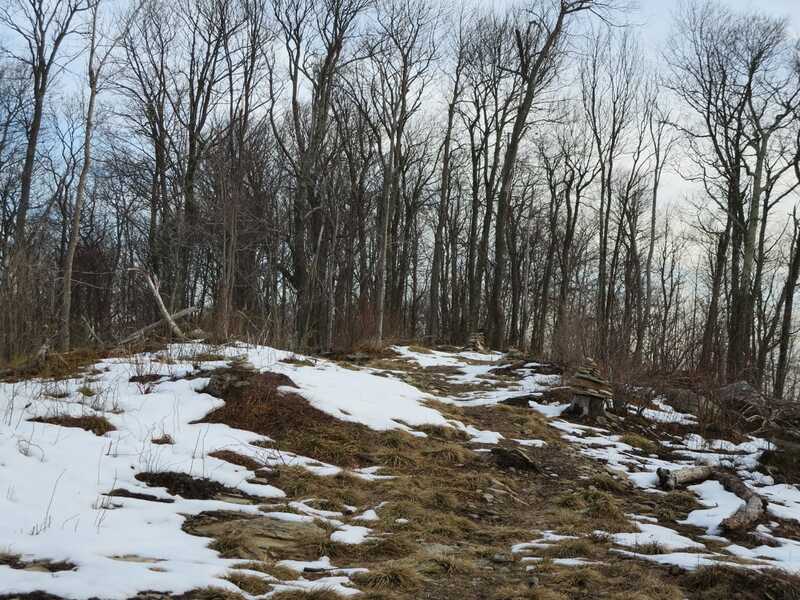 Follow cairns up through rocky terrain until Hoye-Crest, the top of Maryland comes into view. 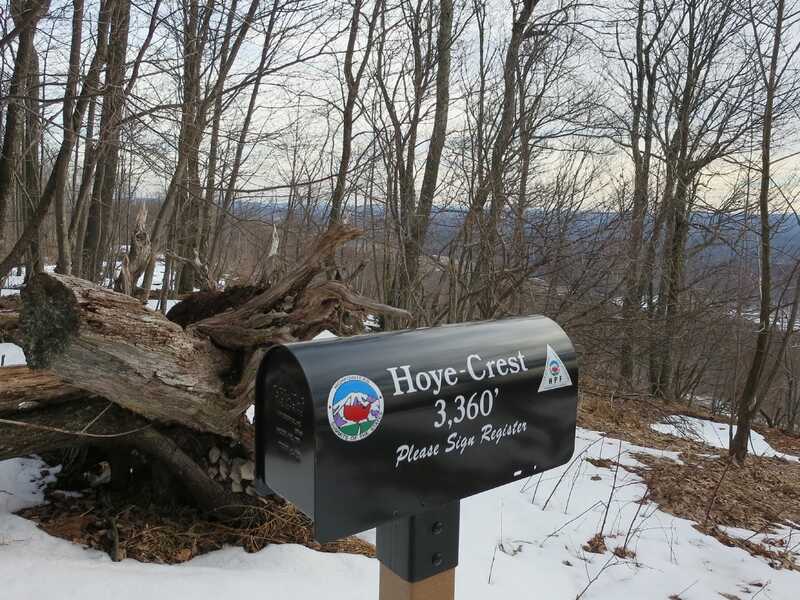 Hoye-Crest offers up all the amenities for the state highpointer, including a nice bench, a new-looking sign and a shiny mailbox holding a summit register and, for some reason, about 150 pens. Hold up, another mailbox? 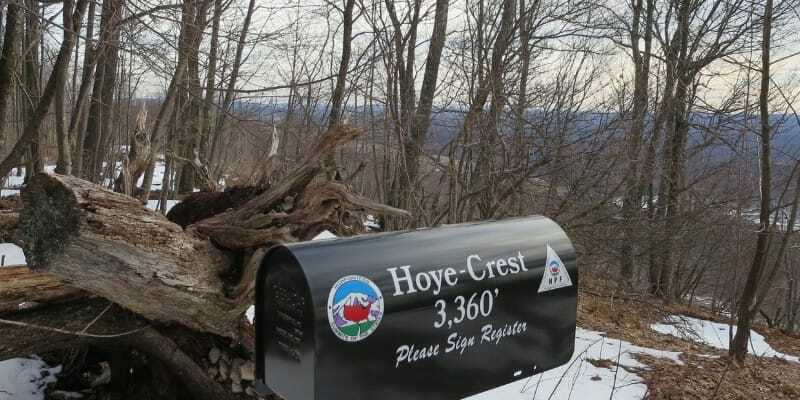 I thought there was only one Mailbox Peak! In the end, I did not break my back or any bones on this highpoint hike. I did, however, enjoy a nice 2.5-mile round trip hike with about 700 feet of elevation gain up to a ridge that seemingly straddles two states and therefore gives up tremendous views in every direction. Note: Backbone Mountain is on private property, or at least sections of it are. Be aware of this while you are hiking and pay attention to the plentiful spray-painted red markers declaring the route, so as to stay on trail. 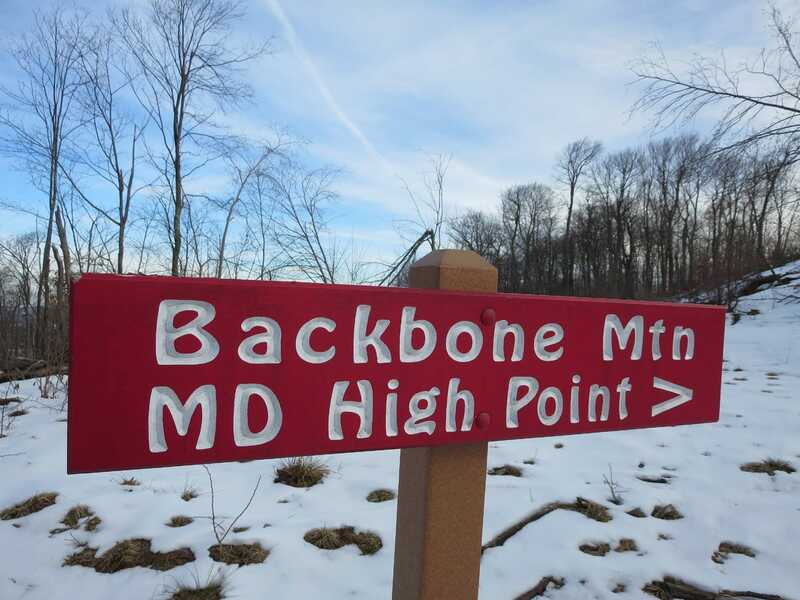 Highpointers’ note: Pennsylvania’s highpoint, Mount Davis resides just under 54 miles north/northeast of Backbone Mountain. I was unable to get to Backbone Mountain during my trip to Mount Davis in June 2012, but it would’ve been the perfect time to do so. Additionally, Spruce Knob, the West Virginia highpoint, is about two hours south of Backbone Mountain. 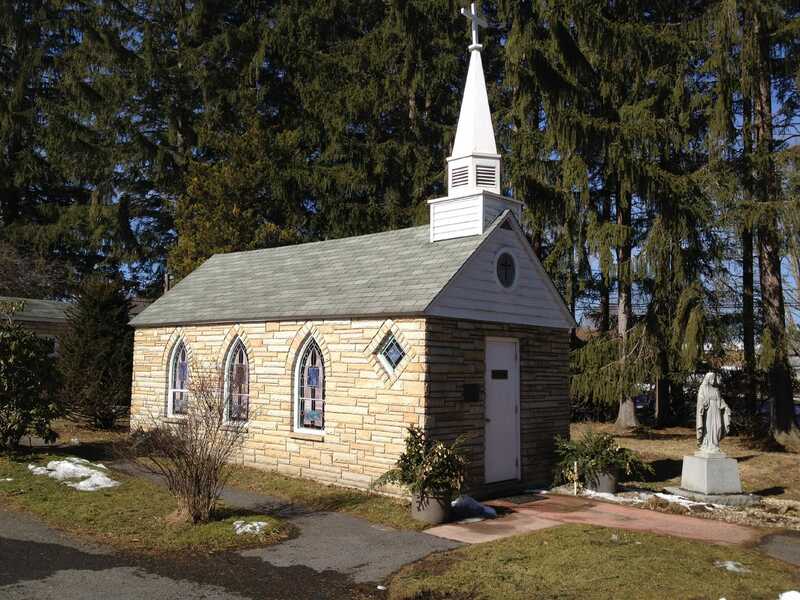 If you do make it out to Backbone Mountain, don’t even think about leaving without visiting “the smallest church in the contiguous United States.” I put that in quotes because apparently that proclamation is up for debate. 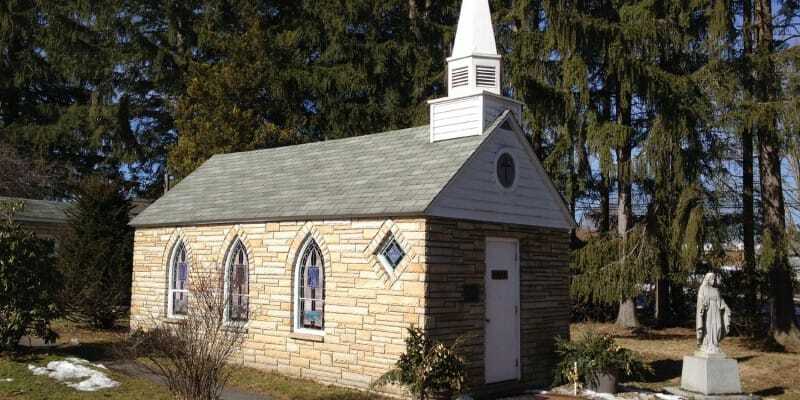 In any case, this tremendous piece of architecture is just a mile or two away, clearly marked by signs off of US-219, and seats just 12 occupants (see picture below). Stay on 219 all the way to the highpoint, which will be on your left. Watch for HP signs and a small parking area on each side of the road. Elevation change (estimate): 700 ft.